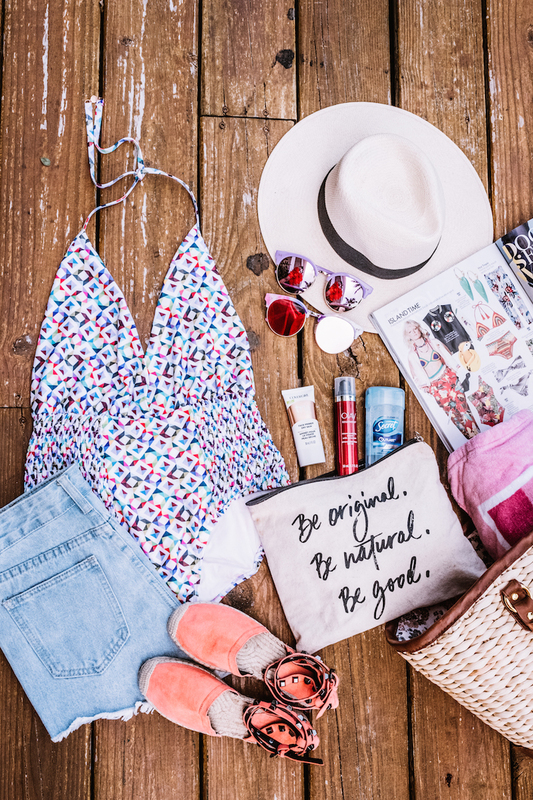 Summer Party Ready 2016…with these 10 Fashion & Beauty Essentials. Summer is officially here…which means spending more time outside: picnics, pool parties, concerts or festivals, barbecues, rooftop parties…WHO ELSE IS EXCITED? All of these are SO MUCH fun…and I’m sure you want to look gorgeous and trendy. I always say that it’s not only about looking beautiful,it’s about what you do in that beautiful dress and fun lipstick. During the summer, you should be enjoying the moment with your friends and family instead of worrying about your beauty look or having to deal with sweaty situations. 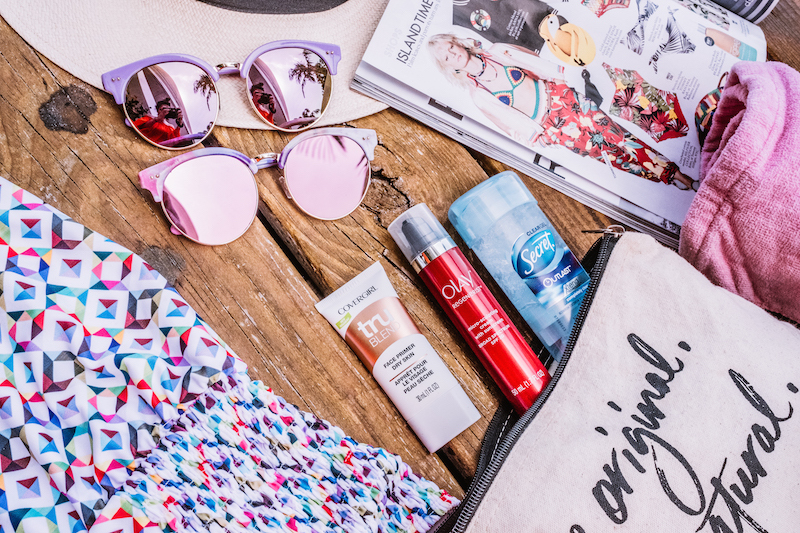 So today I’m sharing my favorite 10 Fashion and Beauty essentials to party all summer outdoors! Let’s do this! I’m listing it first because it’s so important to be careful when it comes to sun protection. I always mention it, do not forget to apply (and re-apply) when you are spending a lot of time outdoors. When I started blogging I was 20 and as I approach my 30s, I love products that also offer anti-aging benefits. Reason why I really like Olay MicroSculpting Cream SPF30- it protects against the harmful UVA/UVE, hydrates, brightens, and instantly reduces the appearance of lines. It is also a perfect size to carry on your travel bag or beach bag. Ok taking care of your skin doesn’t mean that you can not rock some tanned legs. But go for the non-harming option…a golden glow goes great with any outdoor summer activity. Go for gradual tanning products instead of those that will leave you patchy and too dark. If you ask any professional makeup artist what is the trick for long-lasting foundation, they are going to say PRIMER!! On a hot summer day, your makeup won’t last as long because of sweat and oil. These are reasons why it’s very important to apply it to oily areas (think your T-zone: forehead and nose). My recommendation: COVERGIRL trueBlend Primer. There are three types: one for oily skin (designed to minimize shine breakout), one for dry (to hydrate and create a smooth canvas), and one for combination skin. It will not only extend the life of your makeup, but make you look extra flawless. If there is one piece that screams summer it is a good pair of denim shorts. They work over your favorite swimsuit for a pool party, with a boho kimono for a festival, and with a light jacket for a barbecue that turns into a game-night. Yes. I know. You already have denim shorts, but think outside the box! There are so many styles right now. You could get one pair with lace, with a floral print, with the flag print (perfect for 4th of July), etc. But if you don’t have a pair of high waisted vintage shorts….this is the time!! Ok, nobody wants to talk about stinky sweaty situations, but someone has to do it! You cannot really enjoy any summer activity if you don’t feel fresh and clean. I like the Secret Outlast Xtend Clear Gel because the gel dries super fast to avoid any white marks or residue. This one is designed to provide 48 hour odor protection. This one is another obvious essential, but it’s always a good reminder! Sunglasses protect your eyes from the sun, and they’ll keep you from squinting all day. I don’t recommend taking your expensive pair to the beach or lake , but look for styles that have UV protection. If you are thinking of getting a new pair, go for mirrored sunnies this summer! Cat eyes never go out of style, but you can get them in a fun, summer color. Long gone are the days that one-piece swimsuits used to be conservative or matronly. One-piece bikinis are FUN, ON TREND, AND MODERN!! The best part: they also work as body suits that you can wear under skirts or shorts during any summer party. I specially love the ones that have sheer or strappy details or fun prints. If there is a trend that is basically everywhere right now it’s tassels and pom poms. I’ve seen them on totes, dresses, tops, and sandals. I have a black off-the-shoulder top with pom poms that I absolutely love, but I also have my eye on a pair of sandals with fun pom poms. I have a thing for multi-use beauty products and I have the same thing for fashion items. That’s why I love my remix options for a sarong. You can use it as a beach blanket, as a beach cover-up, and as a turban is a MUST during the summer months. I’m all for natural makeup during the warmer months…but this is the time to try a bright pink (like the COVERGIRL Colorlicious Lipstick in bombshell pink 425) or fun orange red (like the COVERGIRL Colorlicious Lipstick in Garnet Flame 300)! Where is this suit from?? Hi love! it is from 6 shore Road!